When you're hanging out with the television and a pizza, life is pretty chill. 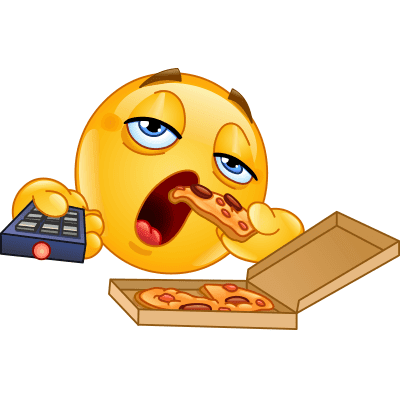 Tell all your friends that you're chilling out at home by posting this emoticon in your next status update. We feature a large website filled with images to suit every occasion. To top it off, each of our emoticons is free to share.